Come celebrate Easter this coming Sunday with the difference! 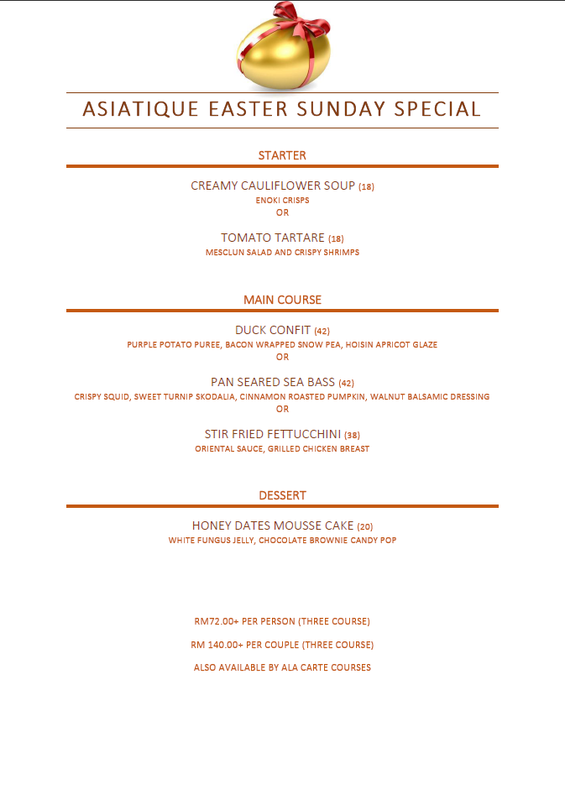 Our fusion menu that celebrates the beauty of local ingredients with a twist of Australian cooking, it’s a must to try! Book today as the menu has limited numbers only! First come first served! See you all this Easter Sunday at Asiatique !! Menu available from 1.00pm to 10.00pm.